Take a minute to learn why it’s important to protect your skin from winter’s harsh environment. Dry skin can quickly lead to painful chapping, cracking, and splitting, and possibly infections that are difficult to heal. 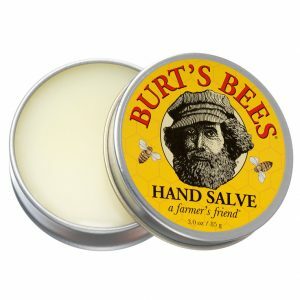 Among many available products, Burt’s Bees Hand Salve is very effective for protecting against the harsh effects of dry, cold winter. Whether you choose a salve, lotion, or ointment, make sure your exposed skin is protected from damage and injury. This entry was posted in News and tagged chapping, dehydration, Mayo Clinic, skin care on January 23, 2018 by Susan.